Competition to win a Stamp set designed and made by myself. So I guess you need to know how to win yourself a set of the stamps. All you need to do is guess what my favourite flower is, I have featured and talked about it many times, those that guess correctly will be eligible to win the name will be put into a hat and 2 lucky winners will receive the stamp sets. I think your favourite flower is the poppy. I would love to win a set of your new fantastic stamps. I think your favourite flower is the Poppy. Love the stamp set. I don't know for sure what your favourite flower is because I can't remember what I read from one day to the next!! I think it might be a daisy. I'm sure your favourite flower is a poppy Jak, so that is my answser. Those stamps are fabulous, so I hope lady luck shines on me this time. Thanks for the chance of winning them! mm a tough one,you have made so many beautiful flowers!I'll guess the poppy...That reminds me i need to make a poppy card for a friend. I thing it`s sunflower ..Greetings from Finland. Would love to win a set of your stamps, especially if it makes me as creative as you. Thanks for the chance to win a set of your gorgeous stamps Jak. your favourite flower is a poppy. Its poppy i love all your cards . I always feel i can go make a card when i've checked your blog out . Keep up the good work . There are a few to choose from on your blog, I have gone back a few posts, well several - and I have a terrible memory. I think you love the Sakura punch flower, could have said build a flower, or tapestry, or the sunflower but I will go for Sakura punch flower. Fab stamps Jak. Thanks for offering the candy. I think your favourite flower is the poppy. I am keeping my fingers, toes and eyes crossed as I would love to win your gorgeous stamps. Thanks for the chance to win them. well i am hoping it is poppy as these are one of my fave flowers and just wish i could grow them. Well reading back many many entries I have determined that your favorite flower has to be the poppy. I love this new set you designed and would love to add it to my collection. Hi Jak, this is the first time I've commented but I'm almost a daily visitor. 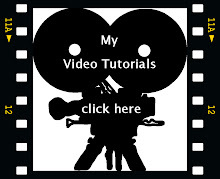 Your blog is a great source of inspiration, and I often direct my friends to your link on my blog. Thanks for being such a great source of inspiration! Your favourite flower is the poppy. Poppy!! Would love to get my hands on those stamps Jak. Thank you for the chance to win. Well i know am late in answering this Jak but i am sure its a poppy, often heard you mention it and there is of course that lovely pic of poppys,you showed us on the wall in your craft room. I think it's the poppy! I'm going to go wait by my mailbox now Ü tee hee. Beautiful creations!!! It's the same as my favourite wild flower "the poppy". Thanks for a chance Jak. I often look at your blog - your cards are lovely to look at. Jak, well what lovely stamps these are. I'd love to be in with a chance of winning and my guess for your favourite flower is POPPY. I think it`s the same as meJak..the poppy. I think your favourite flower is the Poppy, I so hope I'm right, I would love a chance to win your gorgeous stamps. I came across the most wonderful tutorial you did ...the prettiest poppy ever..but then your flowers are the best. So I will go with Poppy..ty for sharing. You have such a huge following - no wonder, your designs are so special!!! The POPPY.... is your flower of choice. Hi Jak, I think your fav flower is a Poppy. Thankyou for your inspirational site, if I am having a mind blank day I just need to go online and you kick start the brain again. Thankyou. Hi Jak - I am opting for Poppy too. I happen to be wearing one today to commemorate ANZAC (Australian and New Zealand Combined forces) which is a time of remembrance for those who died at Gallipoli in the 2nd World War, from our countries. I think your favorite flower is a daisy. they are so light and happy looking. I too think it's the poppy Jak. Thank you for giving us the opportunity to win a set of your stamps, they're fabulous. I love poppies... and I guess that the poppy is your favourite flower as well. Your favourite flower would be a poppy, I guess. Thanks for giving us the chance of getting the lovely stamps Jak. I think your favourite flower has got to be a Poppy. Jak I think your favourite flower is the Poppy. The stamps are lovely thank you for giving us this opportunity to win them. As its my favorite, Im going to say Poppy too. Jak its a poppy,love your stamps. beautiful stamps, who's a clever dickie then lol! I'm going with the poppy Jak...I love the stamp. That's a difficult one Jak - you have made so many beautiful flower cards, but think I am going to go with the Poppy. I think your poppy cards are always lovely, so the poppy is my guess. Love your stamp set and would like to be the lucky one. I think your favourite flower is Poppy, the stamps are beautiful. Hi Jak, gorgeous stamp set. I'm going with the crowd and saying poppy too. Your favourite me thinks is the Poppy as I love it too. Lovely stamp set Jak you are so clever. Well Jak you have made some stunning cards using the poppy so I have to say poppy. I think your favourtie flowers is the POPPY! Especially after looking at your blogs from last year, alto you do love other flowers, I think the Poppy has a special place in your heart . I love them too! Thanks for the chance to win some stunning stamps. The stamps are lovely. I would be very happy to win them. Something tells me your favourite flower is the poppy. Thanks for putting it up to win. Jak, your favourite flower is a poppy. 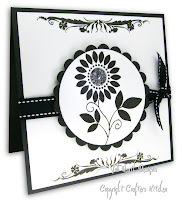 Your flower stamps are very versatile and I should love to win one! Congrats on your stamp set! I will guess that your favorite flower is the poppy as so many have. Thanks for the chance to win a set! Hi Jak, i to think the Poppy is your favourite but closely followed by the Rose. Your stamps are lovely. Thank you for doing this wee competition. Hi Jak, Well I think your favourite flower is a sunflower. Its the poppy. Want the giveaway bad. What a lovely design Jak, I think your fave flower is the poppy - I seem to remember the beautiful poppy print you showed on your blog. It is my fave too, and was even more beautiful when a mass of poppies also had cornflowers mingled in it, until they killed off all the wild cornflowers that is! I would say it was a sunflower Jak. What a fantastic and personal candy! I think your fav flower is the Poppy. Thanks for the chance to win one of your superb stamps sets. Why - that would be the poppy then! What a gorgeous card by the way - and one of my favourite colours at the moment too! Very delicate effect! Jak,you have made so many beautiful flowers! I think, that it is poppies. Thanks for the chance of win. I love all the cards you have made Jak,you are such a great inspiration to us all,and i think you favorite flower is the Poppy,thank you for the draw. What a beautiful stamp set you have created...thanks for the chance to win it and have a try. I would say that poppy is the magical flower for you....you have created some lovely poppy cards. Your cards are stunning. i love to check them all out. Since the poppy is your favorite flower those are some of your most beautiful creations. I believe your favorite is a poppy based on your posts. I love your build a flowers. 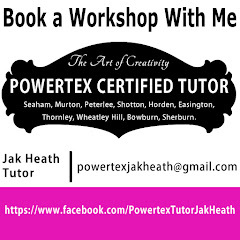 I have printed a lot of them and they are great on cards. I think your favourite flower is Poppy. I think your fav is a poppy, that would mine to quickly followed by honeysuckle, just love the cards you mak Jaks, I just wish I could be as good. I would have to say poppy. What a beautiful stamp set you have created, congratualations. I think your favourite flower is "The Poppy"
Love this site, its just the best. I think your favourite flower is a poppy. HI Jak thanks for offering up the chance to win a set of these fab stamps you are so clever. ok think your fav flower is the poppy. I guess that would be the Poppy!! This is a first for me Jak never entered anything before, but I love your blog and I believe your favorite flower is the beautiful Poppy. I just stumbled onto your blog and LOVE your creations, you are very talented... enough that you have your own stamps! That is an amazing accomplishment. By everyone else's guess, I'm going to say your fav flower is a POPPY! Thank you for a chance to win. Hi Jak, I think your favorite flower is the poppy. I love your blog--it is always so beautiful and inspiring. I love how you use so much white and tone on tone or embossing. I also love all your punched-out flowers you add as embellishments. All your designs are so elegant! 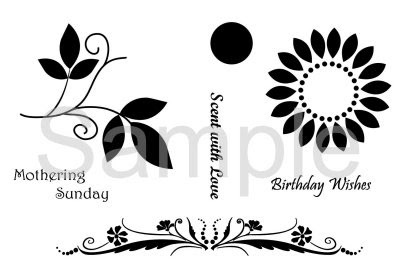 I would SO love to win your lovely stamp set--I love the leaves and curlicues! I was going to choose poppy but so did everyone else! I pick poppy too! Thanks Jak! Love your blog, and your favorite flower is def. the poppy :)!! Thank you so much for this chance to win this gorgeous set. I'm guessing your favorite is the poppy. Thanks for all great ideas and tutorials! Thanks for the chance to win a set of your gorgeous stamps. I have just spent some enjoyable time looking through old posts and come to the conclusion it has to be the poppy as your favourite.